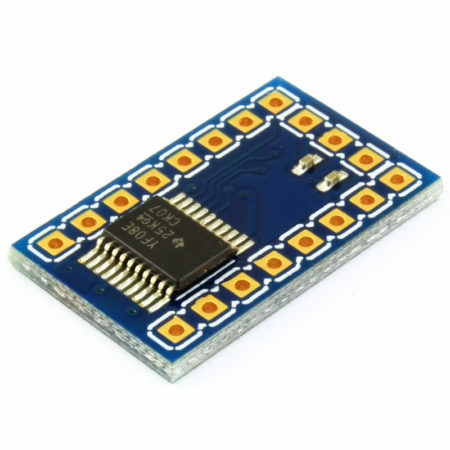 Breakout board for the PCF8575 I2C 16-bit IO Expander. 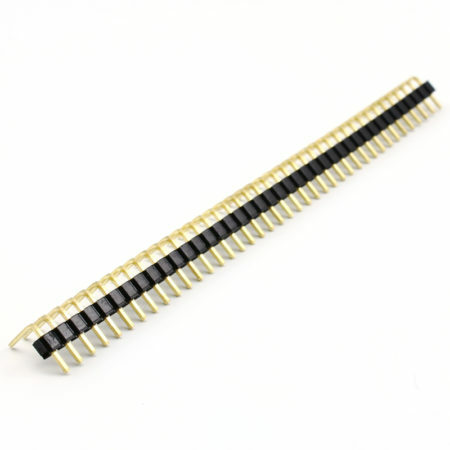 This is a I2C-bus to parallel port IO expander. With this board you can add 16 inputs or outputs to your microcontroller. The PCF8575’s 16 ports are entirely independent and can be used either as input or output ports. 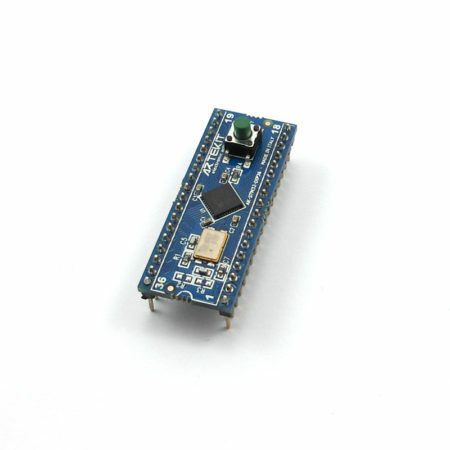 The IO can be controlled/read using a I2C interface (2-wire communications). It has a dedicated interrupt pin that signals the arrival of new data on its ports (so there is no need to continuously poll the IC to detect a change on its inputs). The PCF8575 includes latched outputs with high current drive capability for directly driving LEDs. The board has 0.1″ (2,54mm) spaced pins so it fits on most breadboard and protoboards. 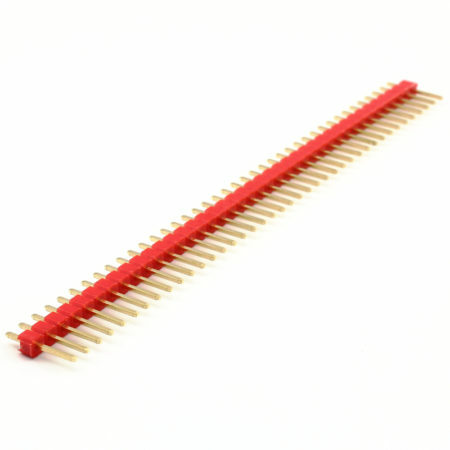 For breadboarding, the perpendicular pins (from GND to VCC) have to be soldered on the opposite side of the IO pins. 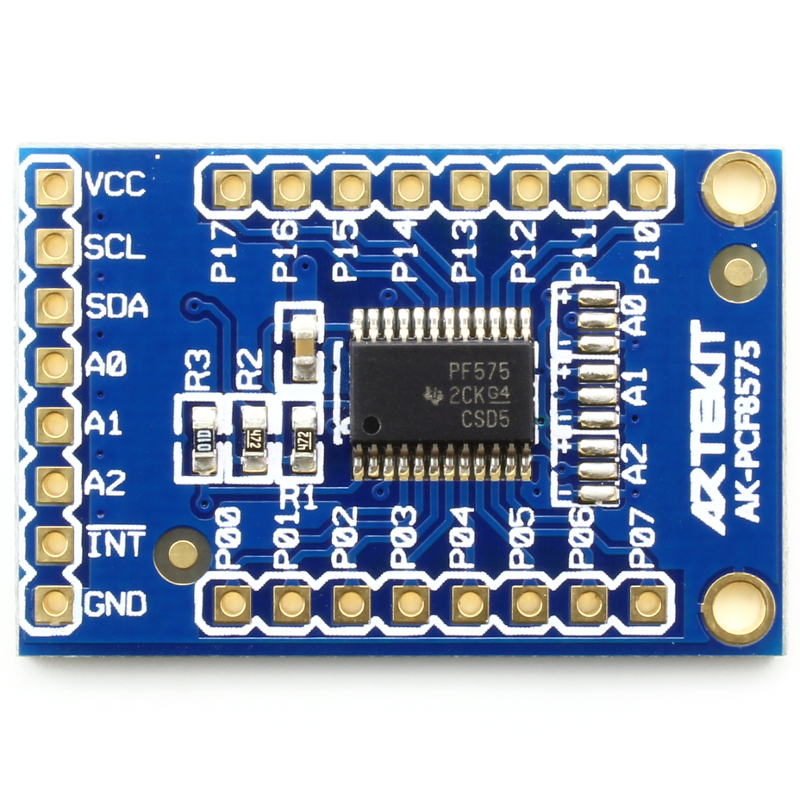 There are also solder options to select the I2C address (A0, A1 and A2 pads). The board comes fully tested and assembled. 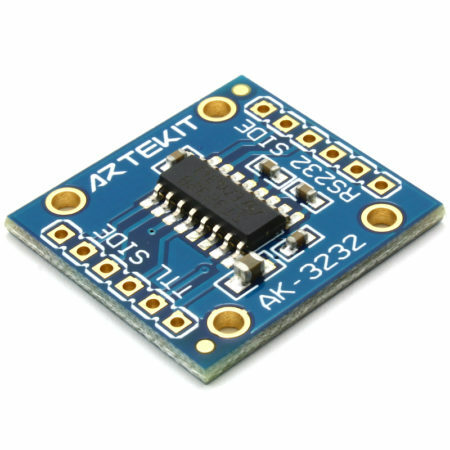 2.5V to 5.5V operating supply voltage. 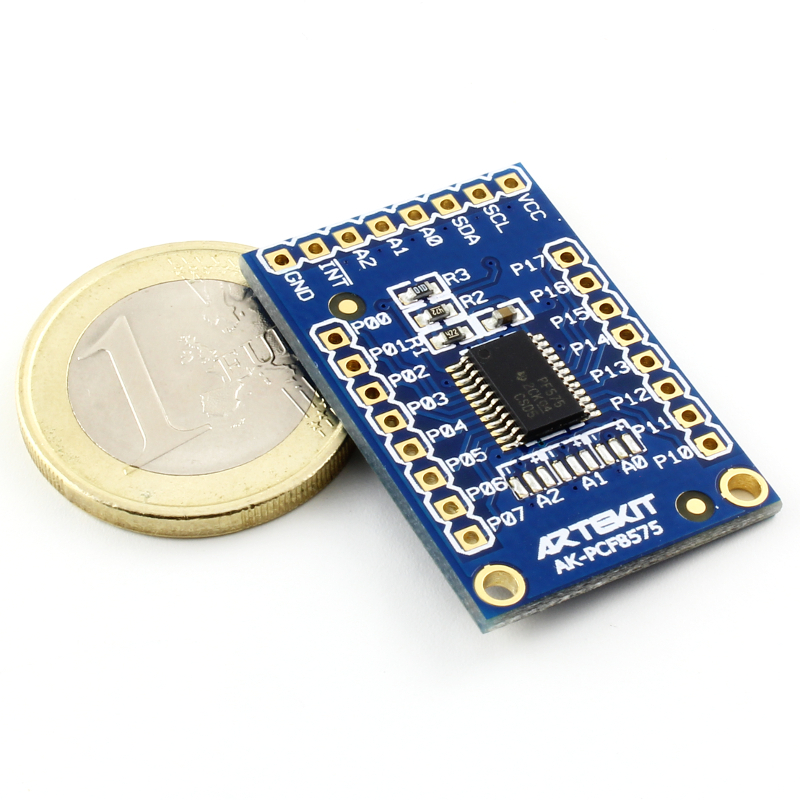 16-bit remote I/O port for the I2C-bus. 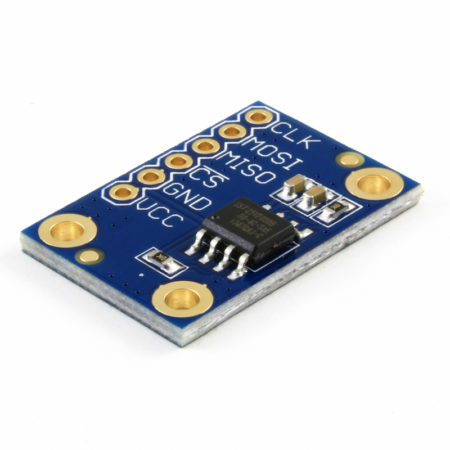 Latched outputs with high current drive capability for directly driving LEDs. Address by 3 hardware address pins for use of up to 8 devices. Hi! I want to change the default address. 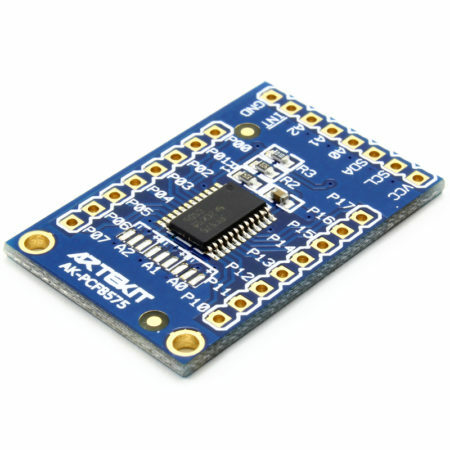 Can I connect Ax address pins directly to Vcc? Or I need to put some resistor between? You can connect the Ax pins directly to Vcc or Gnd. No need of resistors. Sorry, the stock count was not updated. ATM we have 15 left, and we are in the process of mounting more.